Video shows test rolling of a worm gear used in a right angle gearbox. 8DP, double start, 4140 pre-hard material. 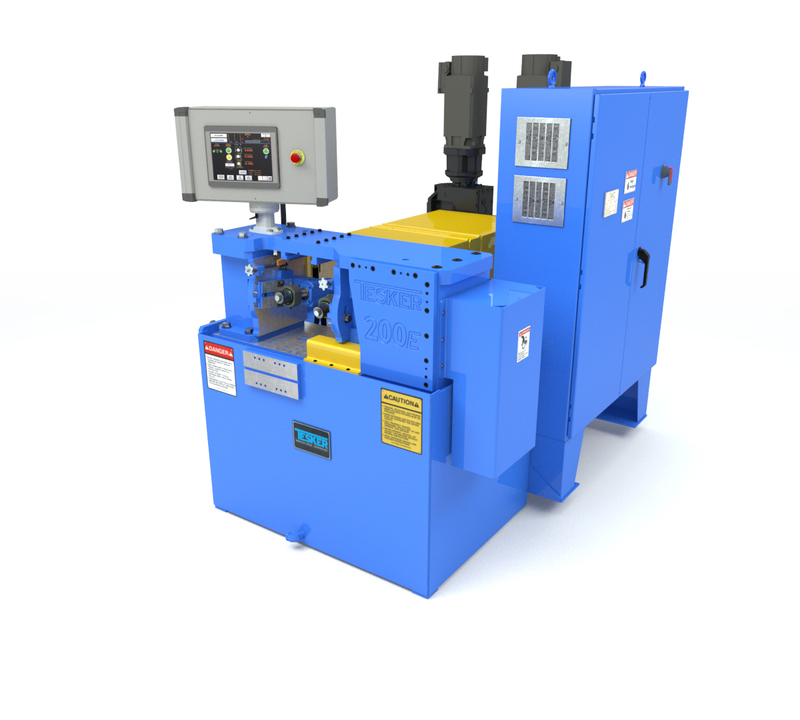 The Tesker Model 200E is an economical 2-Die Thread Rolling Machine with heavy-duty, high-torque rollers built for easy, long-lasting operation. Rolling Pressure Adjustable to 24,000 lbs. Hand pump oiler for the feed slide.